In the early hours of May 17, Lionel Pickens, better known as the rapper Chinx, was guiding his silver Porsche Panamera 4 down Queens Boulevard, a main commercial artery in his home borough. He had just performed at Club Red Wolf, a Latin nightclub in Dyker Heights, a southwestern section of Brooklyn yet to be engulfed by $1,000 strollers. He and a passenger, Antar “Yemen Cheese” Alziadi, had considered hitting up a hookah bar after the show, but it was closed. Chinx was going to drop Alziadi off at a subway stop before heading home to his family in Ozone Park. Neither man made it home that night. While the car idled at a red light near 84th Drive, another vehicle, later described by eyewitnesses as a black Mercedes-Benz, pulled up alongside the Porsche and someone inside the car opened fire. Chinx was hit at least eight times, as 9-millimeter bullet casings flew through the window and danced across the pavement. He managed to pull the car over near a Dunkin’ Donuts and a 99-cent store as the assailants’ vehicle ripped a U-turn and sped off. When the NYPD arrived at the crime scene, a detective scoured Chinx’s social media contacts and called his manager, Doug “Biggs” Ellison, in hopes of finding a number for the rapper’s mother. There was an “accident,” the detective said. Someone had been shot. “It didn’t sound good from the time the phone rang,” Ellison said. “The urgency in [the police officer’s] voice and the panic explained so much more than what he was actually saying.” Ellison and Chinx’s wife rushed to the hospital, where they received the tragic news. Chinx had died outside the Dunkin’ Donuts at 31 years old. Alziadi had been struck twice in the back but would live. While Chinx had yet to reach national prominence, he was established in New York, a regional figure in a SoundCloud era. He was neither a baroque wordsmith nor a flamboyant caterwauler; instead, he had a yeoman’s approach that utilized his hoarse voice and a rhyming cadence with the rhythm of a meat cleaver hacking through gristle. After years of pumping out mixtapes independently, Chinx’s debut solo album, Welcome to JFK, was released by eOne Music last Friday. 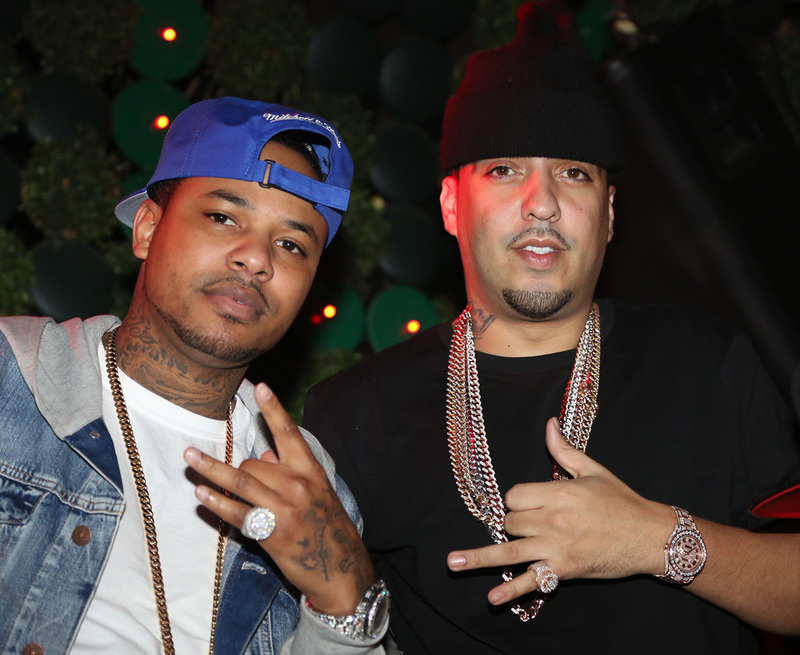 Johnny Nunez/WireImage Chinx and French Montana in 2013 in New York City. Chinx grew up in Far Rockaway, Queens, one of New York’s most isolated communities, in a wind-smacked warren of public housing high-rises overlooking the ocean. His mother worked as a clerk; his father was an inconsistent presence in his life who died when Chinx was a teenager. After 11th grade, he dropped out of high school to pursue both a rap career and street money. His original stage name was “Chinx Drugz” — the first part was bigoted slang for being narrow-eyed from smoking weed, the second was because, well, he sold narcotics. Chinx first earned neighborhood notoriety in the early 2000s as part of Riot Squad, a group that included Rayquan “Stack Bundles” Elliot, who was shot to death in front of his apartment in 2007, just as his own musical career was beginning to blossom. 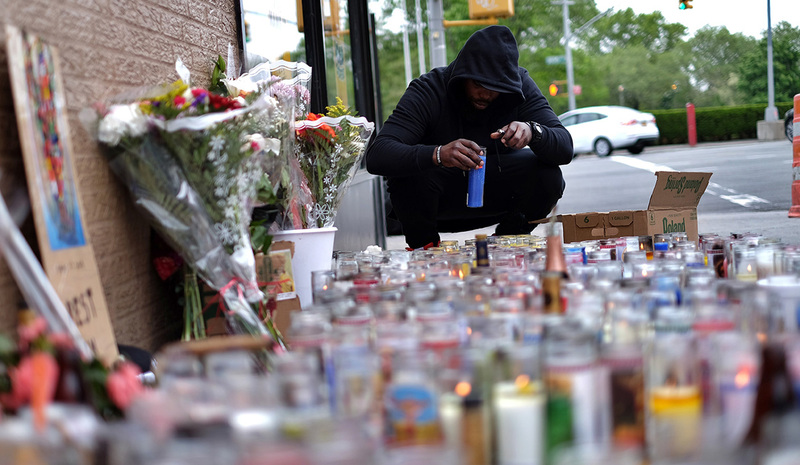 JEWEL SAMAD/AFP/Getty Images A mourner lights a candle on May 18, 2015, at a makeshift memorial beside a street in Queens, New York, where rapper Chinx was shot dead. In 2012, Chinx landed his first hit and a legitimate hometown anthem with “I’m a Coke Boy,” a track that repurposed the sinister violins used 15 years prior by Royal Flush on the track “Worldwide.” “Rock till your tape pop / Started from the dope spot / Made my first couple hundred whipping on the stovetop / Me and Frenchie in that new Ghost Phantom,” Chinx rapped. 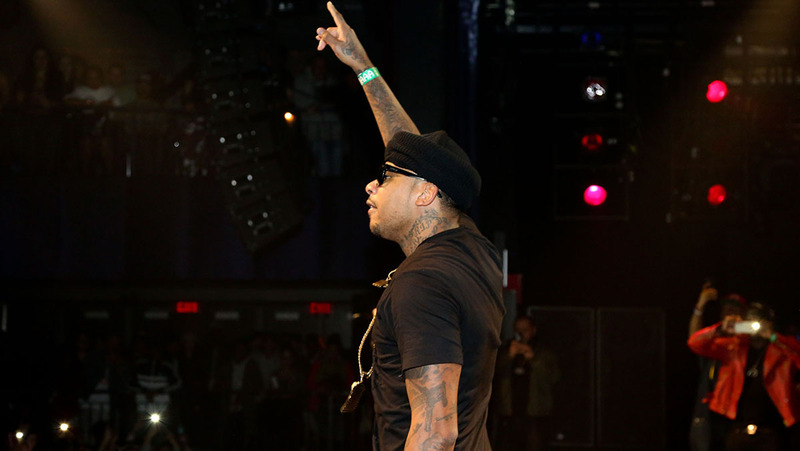 Johnny Nunez/Getty Images Chinx performs on December 9, 2014, in New York City. Mixed and sequenced following Chinx’s death, Welcome to JFK was originally scheduled for a fall release, but was pushed forward after the shooting. The record has a grim prescience, the same ribbon of memento mori that ran through posthumously released rap albums like Notorious B.I.G.’s Life After Death and Makaveli’s The Don Killuminati: The 7 Day Theory. The last three tracks include “Pray” (“Last night I fell asleep / and then I had a dream / that a n​-​-​-​- hit me in the brain”), “Hey Fool” (“Driveby hit the deck / Shots lick and the whip swerve off”), and the closing song “Die Young,” which he recorded just days before being killed. Preoccupation with death is de rigueur for street rap, but the eeriness is inescapable here — it’s impossible to listen to “Far Rock,” which features Stack Bundles, without being cognizant that both artists were killed. “Whatever was going through his mind, or if he had a premonition, it speaks volumes to his mental state when he was recording the album,” Ellison said. Nearly three months after Chinx’s killing, the case remains unsolved. Someone claimed responsibility on Instagram with taunting messages and a photo of a handgun, but that has been debunked as a troll from Sweden. Since then, the NYPD has theorized that the shooting was tied to the killing of Stack Bundles, as well as to a double homicide that occurred in Mount Vernon in June when two men were shot after leaving the strip joint Sue’s Rendezvous. “One of the victims in the Mount Vernon homicide was known to Pickens,” NYPD Lieutenant John Grimpel told Grantland, describing him as Chinx’s “friend.” Police have canvassed Far Rockaway, despite its distance from the crime scene, in search of potential witnesses, but Grimpel said no one has been taken into custody. It remains unclear whether Alziadi’s relationship with the Coke Boys’ inner circle deteriorated after the shooting or if he was always a peripheral figure. “Yemen Cheese is nobody,” according to Montana, who said he had not spoken with Alziadi about the incident. “I know him, but he’s not nobody you should be asking about anything. He don’t know nothing. He was just there with him. If he knew something, somebody would have gotten locked up.” Grantland’s numerous attempts to contact Alziadi went unanswered. 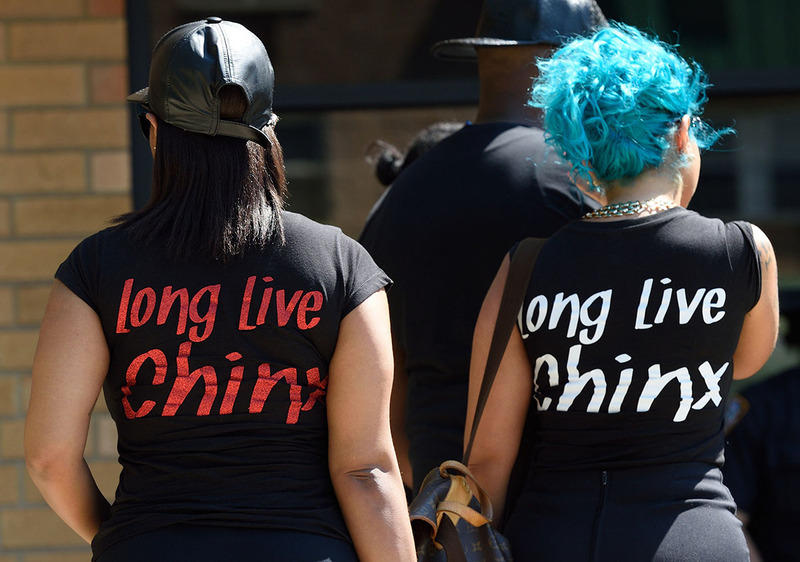 DON EMMERT/AFP/Getty Images Mourners gather to attend the wake and funeral for Chinx. For now, Chinx joins Tupac Shakur, Notorious B.I.G., Jam Master Jay, Big L, and many more on the depressingly long list of rappers whose killers have never been brought to justice. And at a time when they expected to be celebrating the release of his debut album and rising career, his loved ones are tormented by the apparent senselessness of the killing — and that its motivation remains unknown.